Thanks to the internet of things (IoT), toasters will soon be collecting data about your toasting habits. The data from your toaster may never be analyzed, or it may be used to estimate future demand for toasters, or fed into a deep learning system to plan the planting of next year’s wheat crop, or used to help design the next generation of toasters. Data from your toaster could even provide you with an alibi if your unique toasting habits can prove you could not possibly have been at the scene of the crime. Sounds farfetched? According to Marc Goodman, smart electric meter data is being analyzed to measure fluctuations in energy usage to determine which television programs are being shown in a household at any given time. – Uber, the world’s largest taxi company, owns no vehicles. – Facebook, the world’s most popular media owner, creates no content. – Alibaba, the most valuable retailer, has no inventory. – Airbnb, the world’s largest accommodation provider, owns no real estate. Although these companies are different, what they have in common is data. Each of them is in a very different market, but their business models are similar. They gather and store enormous volumes of data and then use search engine algorithms, artificial intelligence and analytics to turn that data into actionable knowledge. This has turned into very big business. At the time of writing, Uber, a private company, has a market valuation of $50 billion dollars. Facebook is valued at $250 billion, Alibaba $14 billion, and privately held Airbnb $25 billion dollars. These are not the only data-centric companies that are this valuable. LinkedIn is valued at $24 billion, Netflix at $42 billion, Baidu at $46 billion, and Google at $400 billion. These prices might seem excessive except for the asset value of the data these companies have collected. Based on market valuations above, TripAdvisor reviews are worth $4 apiece, Alibaba accounts are worth $41 each, LinkedIn profiles are worth $63, whilst Netflix movies are worth $3 million each. Data is at the heart of each of these companies’ values but they are not the only companies benefiting. More data, more profit – The Harvard Business Review reports that the top third of companies, in their respective industries, which use data to make decisions are, on average, 5% more productive and 6% more profitable than their competitors. A study by IDC found that users of Big Data and businesses that utilize analytics via diverse data sources, analytical tools (such as predictive analytics), and metrics, were five times more likely to exceed expectations for their projects than those that did not. Some businesses are even starting to claim that data, and not people, is their most important asset. More data more productivity – When a Mexican citizen migrates to the U.S. he or she is estimated by economists to be five times more productive than one who stays at home. Although the United States has more physical capital than Mexico in the form of machinery and tools, it is not enough to account for a fivefold difference. Instead, by the World Bank’s estimate, the average inhabitant of the United States has access to $418,000 in intangible wealth, while the same figure for the average inhabitant of Mexico is only $34,000.12 In the study, the authors concluded that the bulk of most wealthy countries’ wealth is now intangible. The World Bank attributes much of this intangible wealth to a more efficient judicial system, established property rights, and less corrupt governments but in practice the vast majority of a country’s intangible assets are in the form of data. What exactly is data worth? Everyone knows data has some value. In contemporary life, it is the text message and not the stampede, the first frost, or the factory whistle, that prompts us to action. Email messages drive our professional lives just as texting drives our personal ones. Across different parts of the globe, individuals from different countries and diverse societies are simultaneously making a massive parallel effort to collect more data. They store family pictures online, they use electronic transactions to settle debts, they interact socially through social media, and they spend their leisure time playing electronic games. Data even drives our emotions. We feel happy when the stock market average rises, concerned to learn life expectancy in some parts of the United States is falling, and are (perhaps) amused to learn 2% of the US population believes Mitt Romney’s first name is Mittens. This trend is bigger than any one individual, group, or culture. Supporters of the Islamic State of Iraq and Syria (ISIS), for example, would like to establish a caliphate in the Middle East and return to the early days of Islam, but they are also extremely adept at using data in the form of social media to forward their goals. In other parts of the globe, organizations as diverse as the British Government’s Communications Headquarters (GCHQ), North Korean Unit 121, and the Russian Mafia Bravta also use data as a means towards an end because – at the end of the day – knowledge is power. Yet, how to precisely measure the new value of data remains unclear. Current accounting principles have not fully adapted to the digitization of society and the growth in the value of data. 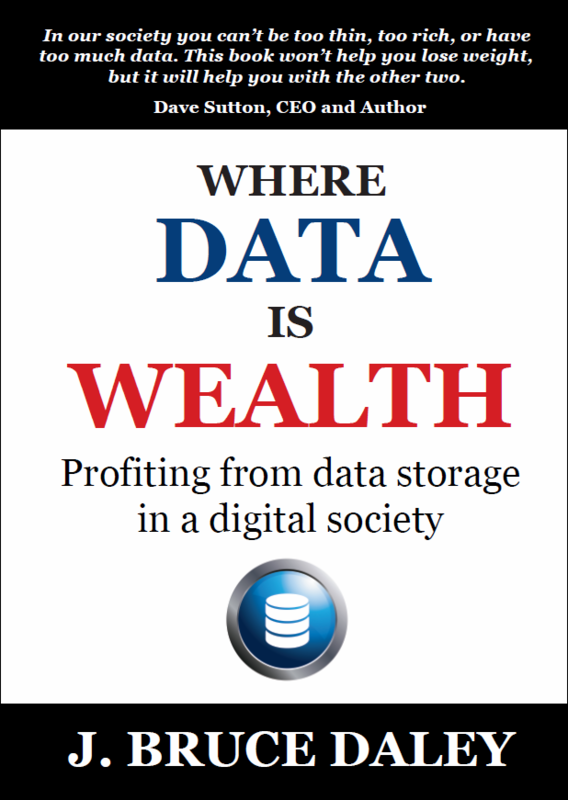 Data is classified as an intangible asset (along with patents, goodwill, and brand recognition) so the money spent gathering it is considered an expense and not an investment. Businesses such as Google, Twitter, and eBay make most of their revenue by collecting, organizing, and selling data. In Google’s case, the company is on track to make about $16 billion in net revenue in 2015 but this may only be the tip of the iceberg in terms of the value that data creates.13 Where does the value of this asset show up on the company’s balance sheet? This is a particularly important question for investors since balance sheets have been widely accepted, at least in the past, as a means of gauging how good a deal they are getting. Left to design their own metrics, investors are likely to get them wrong and inflate or deflate the value of companies accordingly. This could easily lead to either a financial bubble or missed opportunities. One Federal Reserve economist, Ken Nakamura, thinks an argument can be made that the total amount of all the intangible assets corporations own is over $8 trillion. But this asset does not show up on any of their books. In their defense, appraising data is a complex problem for accountants. If you value Christianity, or the past, then the original manuscripts in the Vatican’s Biblioteca Apostolica are clearly priceless. Its 75,000 hand written codices include some of the oldest books in existence. But what is the value of the data in the digital representation of those manuscripts? Are they equally priceless? Does the very existence of digital copies change the value of the original manuscripts? On the other end of the spectrum to the Vatican’s Biblioteca Apostolica manuscripts, most data has next to no value. The largest single category of data is SPAM. EMC, in its 6th annual Digital Universe of Opportunities report, estimated that only 22% of the information in the digital world would even be a candidate for tagging (part of the process of indexing) – the practice that creates most metadata. Less than 5% of tagged data is estimated to actually get used for any form of analysis. By 2020, EMC estimates the useful percentage could grow to more than 35% although AI technology, like machine and deep learning, may make untagged data more valuable by that time. Yet common sense tells us that much data must fall somewhere between priceless and worthless, can be counted, and could be assigned a specific value. One reason to think data will be even more valuable in the future is machine learning. Machine learning is a set of algorithms, which builds complex mathematical models that abstract individual human thought processes to make sense of texts, sounds and images. Based on academic research started in the 1950’s, machine learning draws on the human brain as the inspiration for identifying complex patterns. In a now famous example of how machine learning can be used to tag data, researchers at Google built a nine-layer deep neural network using 16,000 servers. Over the course of three days, the system was exposed to 10 million randomly selected images. After being presented with a list of 20,000 different items, it was able to identify new cat pictures with 74.8 percent accuracy.14 This may seem like a trivial exercise, but the ability to automatically tag images (and eventually video) is worth billions of dollars. Until recently the technology languished, but with this and other successes it is being implemented across a wide variety of industries including advertising, agriculture, finance, medicine, law, mining, philanthropy, and retail. Some of the applications to which machine learning is applied include: credit scoring, internet advertising buying, legal discovery, disease diagnoses, manufacturing quality assurance, seismographic data analysis, and fraud detection amongst many others. In the current climate of commercial innovation, the limit to deep learning’s range only seems limited by the human imagination. As society becomes digitized, the amount of data is exploding and the number of uses for that data is expanding. Although modern accounting does not provide a precise way to measure the change, the value of data is certainly increasing and at a rate even faster than the amount. Most of us are familiar with vaults, safes, safe deposit boxes and other repositories designed to preserve paper currency, bullion, stocks, bonds and other forms of wealth. 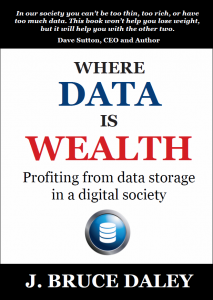 Yet in a digital society, most wealth is now in the form of binary data. Since the current generation of data storage was not designed to treat data as anything more than a byproduct of computation, this has some unfortunate consequences. Among them, the possibility that your entire life savings could be wiped out by a solar storm, an atomic device exploded high in the atmosphere, or a mathematically-inclined misfit teen.